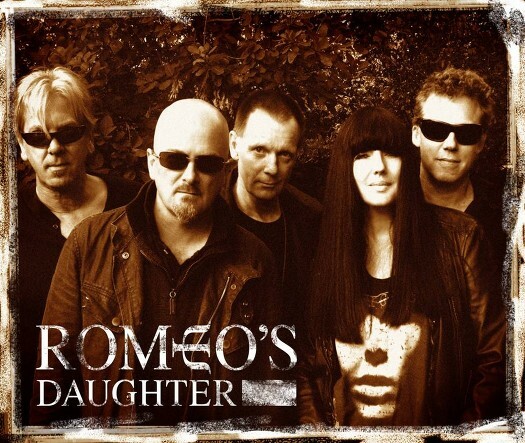 I know most people who visit CRR Towers have never probably heard of Romeos Daughter, and shame on you (mostly) young whipper-snappers for not knowing who they are. Formed in the late 80s, Romeo’s Daughter had a hell of a lot going for them. - Big name producers...check! The ultimate rock producer at the time agreed to produce some of the debut. Robert ‘’Mutt’’ Lange, married to Olga, who was Romeo’s Daughter’s manager, and ‘St. Elmo’s Fire’ singer John Parr. - Songs that are so hook laden they had ‘’hook laden’’ running through the middle if you cut them in half.....check! - And they had (still have!) a singer with the looks of a runway model, that wasn’t just eye candy and could and still can sing as well as any female rock singer....double check! So why aren’t they a household name? They certainly are in my household, and most of the 2-300 that have just witnessed them supporting FM only this very week. The sophomore album was as strong as the debut, but it just never worked out. This was ‘93 and Grunge had taken a hold of the music industry. They were highly thought of by their peers, with songs of theirs covered by Heart, Eddie Money, and God forbid…Steps!!! So fast forward almost 20 years and it turns out Romeo’s Daughter never broke up. They made a successful return at Firefest a couple of years ago and decided to give it another shot. Boy, am I thankful that they did! 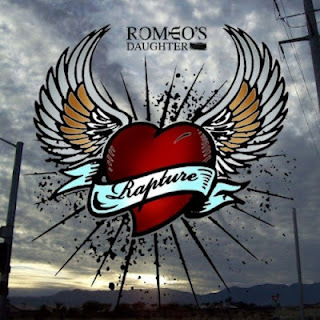 March 2012 sees their third release, ‘Rapture’ released onto an expectant fan base. Are they, like many other melodic rock bands, here to make up the numbers and try to deliver an album that would be money grabbing and a weak effort, just because its en vogue to do so? Thankfully not! After seeing the response and success that hubby has seen with FM, Romeo’s Daughter have made the correct decision and come back on their terms and their own label. Fans of the band can look forward to an album that sits very comfortably with the debut and ‘Delectable’. 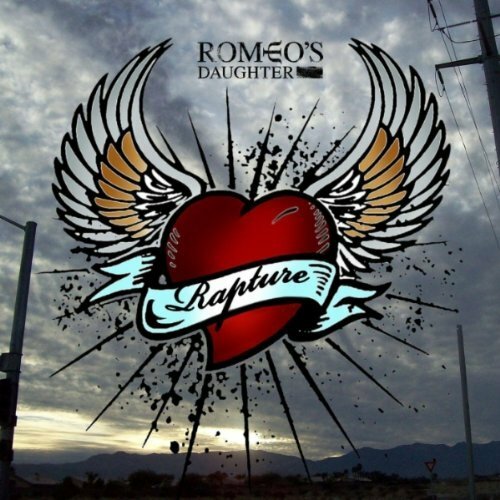 Thanks to songwriter-in-chief Craig Joiner, he has delivered a set of songs planted firmly in the Romeo’s Daughter mould. It’s as if it were the immediate successor to ‘Delectable’, only 20 years haven’t passed! Opening track ‘Tripping Out’ contains all the Romeo’s Daughter hallmarks – catchy chorus, great riffs, and the excitable vocals of Leigh Matty (she gets me all excitable!). ‘Bittersweet’ is another that just rolls out of the Joiner song factory and is the kind of song I’d hear all day long on the radio in the states, particularly on some country/rock crossover station. ‘Cannot Be The One is firmly set at mid paced, but is enjoyable all the same. One things for certain, Romeo’s Daughter aren’t here to rock your socks off permanently, preferring a mix of lighter numbers, but the next song, ‘Keep Walking’ falls firmly into this rock-socks bracket and is one of the best songs on ‘Rapture’ by a country mile. ‘Lightning’ is a song that would be welcome on Radio 2 airwaves all day long. If FM can manage this with ‘Hollow’, then ‘Lightning’ should also be a cert for R2 masses. ‘Alive’ is a song I’d imagine Robin Beck singing all those years ago, and it’s a pure AOR sing a long/foot tappin’ track for driving /ironing / shopping / jogging to (delete as appropriate). ‘Fly Away’ makes for one solid first half of an album. Its lightweight, but in a good way, and it doesn’t have to shout from the rooftops to be a good song. ‘Talking Love’ comes straight out of the ‘Colour You A Smile’ school. ‘Mine’ is again as catchy as a baseball glove covered in molasses. Romeos Daughter and Craig Joiner in particular have something to be proud of here. It was easy for them all to just turn up and peddle some tracks from 1988 that never made the first two albums. Plus no doubt they all have better/other ways of earning income than getting the band back together. Craig’s song writing still stands out, and together with Leigh Matty’s (still) sumptuous vocals they have come up with an album that shows they’ve returned with a vengeance and hopefully a (headlining) tour or two will follow. For existing fans, it’s a no-brainer. For others it’s not an out and our rock/melodic rock album, but this could help their appeal to a much wider audience this time around. It just exudes quality. Just don’t wait 20 years for the next album eh!